Healthy eating can be a struggle when accessible foods are made with preservatives, GMO’s, excess sodium and sugar. Good food’s mission is dedicated to educating and introducing children and parents to a variety of fruits and vegetables through its color and nutritional facts. Good Food will educate audiences on how to eat, grow, and purchase quality food through at home and school events. 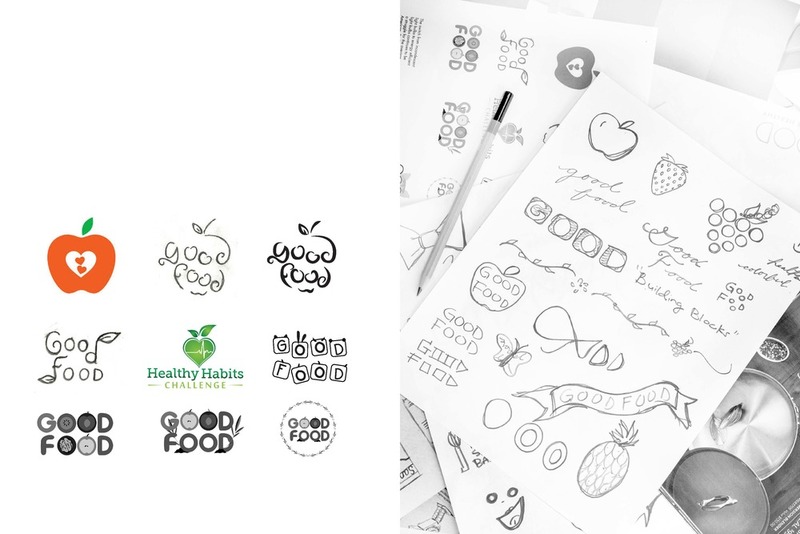 Good Food’s final mark integrates text and illustrative fruits. The sliced fruits displaying the inner core illustrate the message of being healthy on the inside and outside. The uses of colors are bright and youthful, yet sophisticated. Good Food’s tagline, “color me healthy” introduce audiences to connect with Good Food’s mission of educating audiences on health through color.